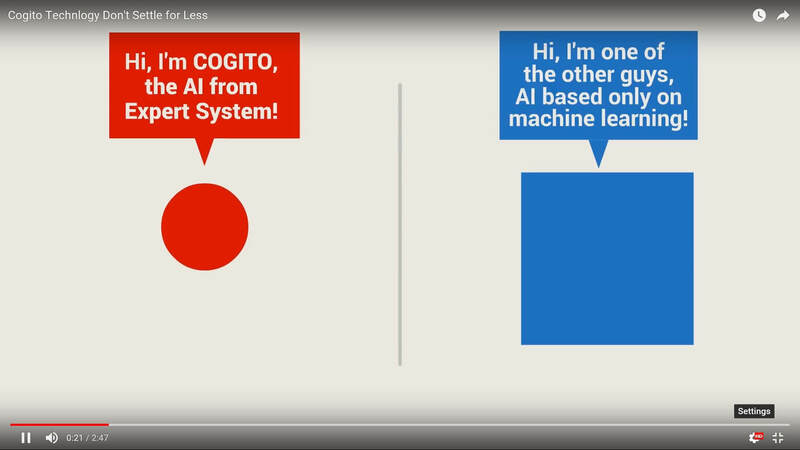 At the core of Cogito cognitive technology is a semantic engine that resolves ambiguity to understand the meaning of each word in a text. The disambiguation process performed is based on its access and interaction with Expert System’s knowledge graph to resolve conflicts that arise when a word can express more than one meaning. In other words, starting from the linguistic analysis of a text, the disambiguation process tends to represent a text in terms of concepts, entities and the relationships that exist between them. This is the foundation of a cognitive and conceptual map of text, which constitutes the final output of the disambiguation process and is a key element of text analytics. Lexical and grammatical analysis to identify nouns, proper nouns, verbs, adjectives, articles, etc. Syntactical analysis to identify a first level of word groups represented by “phrases” (noun phrases, verb phrases, prepositional phrases, etc. ), a second level of word groups represented by clauses (a clause can be a sentence or more clauses can be combined to form a complex sentence), and a third level of word groups represented by sentences (a sentence is a grammatical unit consisting of one or more words that are linked to one other by a syntactic relation in order to convey meaning). Semantic analysis to associate words to meanings by leveraging the interaction between Expert System’s semantic engine and Sensigrafo. After lexical, grammatical and syntactical analysis, words are associated to several concepts among those available in Sensigrafo. The disambiguator begins skimming the list of candidates for each word by considering the context in which every word appears to determine its meaning. Expert System’s semantic technology performs a deep understanding of text to help companies to improve their text analytics projects. Disambiguation accuracy in legacy technologies is between 45-55% and may reach up to 73-75% for a few systems in closed, domain specific, contexts. Deep semantic analysis allows users to reach over 90% accuracy in completely open, or domain independent, contexts, such as general news, and other forms of general communication.